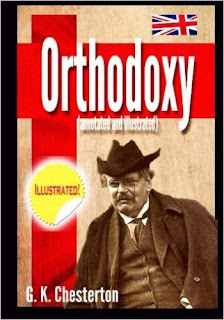 The PREMIER apologetics book by the greatest lay theologian of the 20th century ... illustrated! + 12 New Illustrations of Gilbert Keith Chesterton by generative artist Lucio Marcetti "Life Stages" + Special Bonus artwork! "Students of popular science, like Mr. Blatchford, are always insisting that Christianity and eastern religions are very much alike, especially Buddhism … he said that both Christ and Buddha were called by the divine voice coming out of the sky, as if you would expect the divine voice to come out of the coal-cellar." "The great and very obvious merit of the English aristocracy is that nobody could possibly take it seriously." On the World: "Can he hate it enough to change it, and yet love it enough to think it worth changing?"